This rises to almost half when considering nurses aged 45 and over, researchers found. Experts said the figures were "deeply worrying". 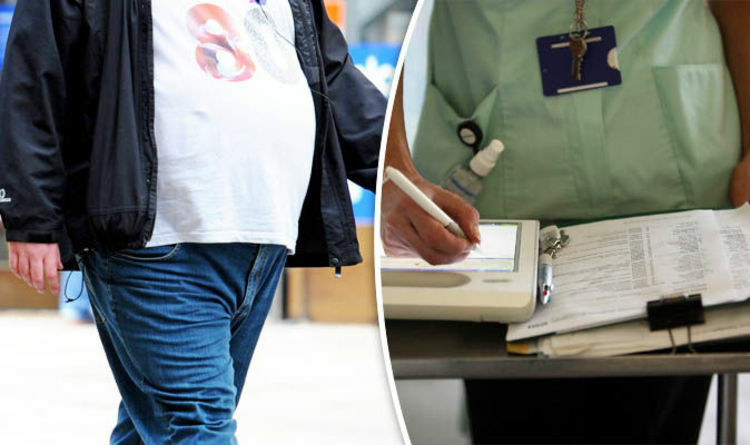 Meanwhile, one in three unregistered care workers – such as care home workers and nursing assistants – was found to have a Body Mass Index (BMI) score which classed them as obese. Researchers from London South Bank University and Edinburgh Napier University set out to assess obesity prevalence among healthcare professionals working in England. Participants were split into four groups: nurses, other healthcare professionals – including doctors, dentists and physiotherapists, unregistered care workers and people employed in non health-related jobs. Of the 422 nurses polled, 25.1 per cent were obese, with a BMI score of more than 30. Among those aged 45 and over the figure rose to 47.1%. Meanwhile, 31 per cent of 736 unregistered healthcare workers were obese, as were 14.4 per cent of other healthcare professionals. Among the 18,500 people from the general population surveyed, the rate of obesity was found to be 23.5 per cent. The authors cautioned that the high rates of obesity among nurses and unregistered care workers were "concerning" because it increases the risk of musculoskeletal conditions and mental health conditions - some of the main causes of sickness absence in the health service. Professor Jane Wills, from London South Bank University, and co-author of the paper, said: "The high prevalence of obesity among the healthcare workforce should urge policymakers and employers to provide solutions through workplace initiatives that support staff to maintain a healthy body weight." Kim Sunley, a senior employment relations officer at the Royal College of Nursing (RCN), said: "There is no doubt obesity is a major public health issue, and we know nurses sometimes struggle to make healthy choices due to long hours, shift work and stress. "In response, the RCN has worked with partner organisations to develop the Nursing You resource. "This helps nurses recognise triggers for unhealthy decisions and make better food choices. "This is the latest addition to the RCN's Healthy Workplace, Healthy You initiative, which aims to improve nurses' health by working with employers to improve conditions and promote self-care."